The cold weather has finally arrived where we live, and what better way to spend time indoors than some winter-themed learning activities! 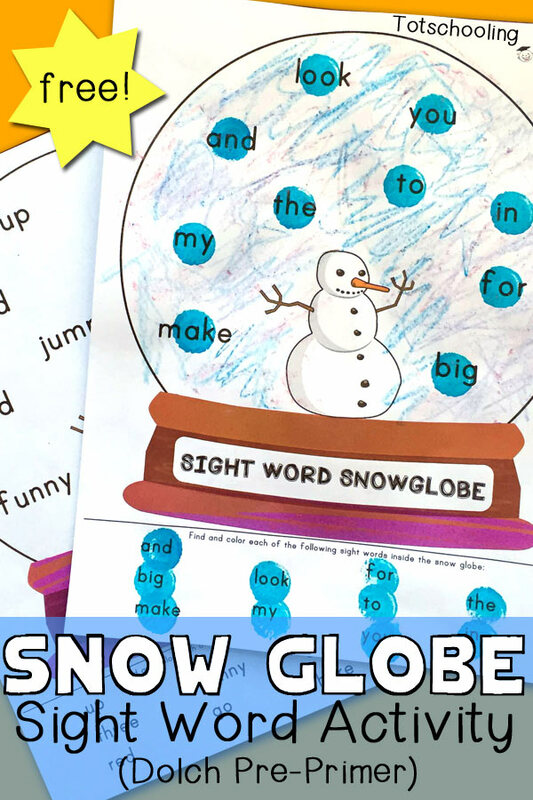 Today I am sharing a snow globe sight word activity with pre-primer dolch words for preschoolers and kindergarten. This free printable includes all 40 dolch pre-primer sight words for preschoolers and kindergartners, divided into 10 words per page. There are 4 snow globes with 10 different sight words in each one. 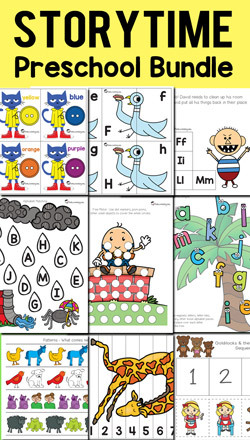 This is a "find and color" type of activity. Look at the words listed at the bottom of each page and find it inside the snow globe. Once a word is found, use a dot marker or any kind of marker to color it in. Repeat until all words are found. After all the words are found, color and decorate the rest of the snow globe!